19?? 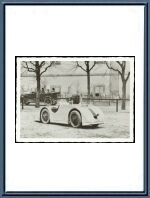 Photograph - Vincent Junek with Bugatti T 32 Tank 4059. 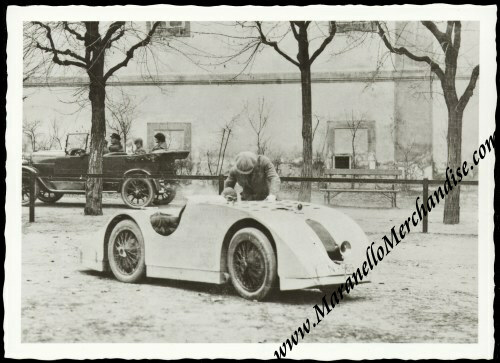 This is a photograph of Vincent Junek (husband of Elisabeth Junek) tinkering with their Bugatti Type 32 "Tank" (Chassis 4059), presumably in pre-war Prague (CS). This is most probably NOT a vintage photo (i.e. printed shortly after the picture was taken) but it is definitely "older" and printed on fiber-based paper (1970's? 1980's?). It measures some 15 x 10 cm or 6 x 4 inches.